The Freedom Fellowship team is now back home in South Carolina!!! Pray that they continue to recover and get back to a normal sleep schedule fast. As for Mareko, I am here in Gaborone as a guest of the Shipes family. 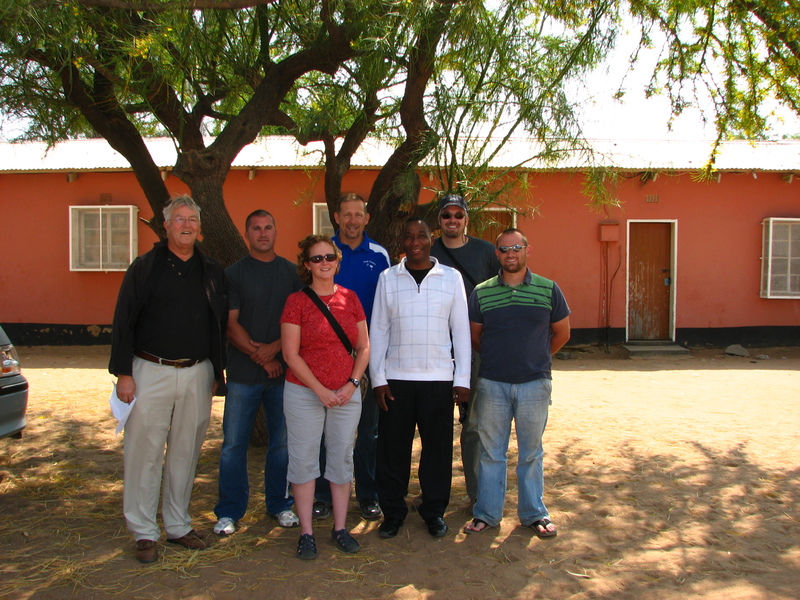 Here’s a snapshot of the team with Moruti James from Naledi Baptist Fellowship on the day of departure. Yesterday was a great day here in Gaborone. We went to Open Baptist Church here in Gaborone. Open is the main church in Botswana for Close Connections and is the central hub for most of the activities. I have been to Botswana 3 times and this was the first time I had the opportunity to worship with the Open Baptist Family. We also celebrated the Lord’s Supper, which made me feel even closer to the church family. I know OBC members and staff from working on the projects and through Close Connections and it was good to see everyone there for a day of worship. Pastor Norman and his wife, Gabi, do a fantastic job leading this church. I look forward to my next visit with OBC. Afterwards, I went out to eat with Shipes family at the Riverwalk mall and had a pineapple/peppers/rib meat pizza (yes!) at Spur’s place. I also bought a nice African shirt from a sidewalk vendor. 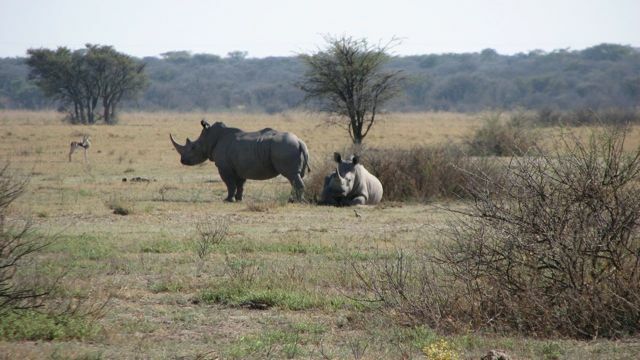 Last night, Scott and I made plans to head out of town to the Khama Rhino Sanctuary. We braved the wild Botswana highways north of town and drove about 3 hours to a hotel on the edge of the Kalahari desert, in a town called Palapye. 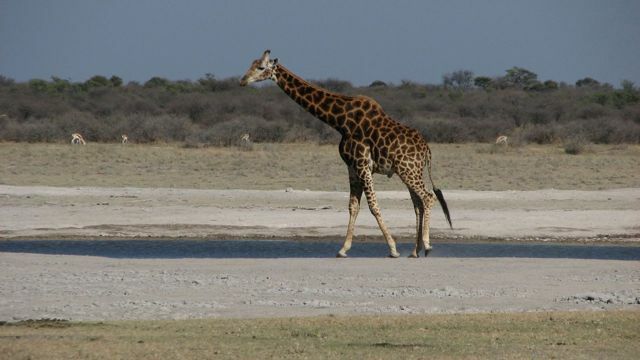 Scott also had his first taste of speed traps in Botswana. Ouch! We stayed in a decent hotel next to the highway. A weird oasis in the desert night that played country and western music all night and all day. Just weird listening to Johnny Cash way out here in the middle of nowhere Botswana. 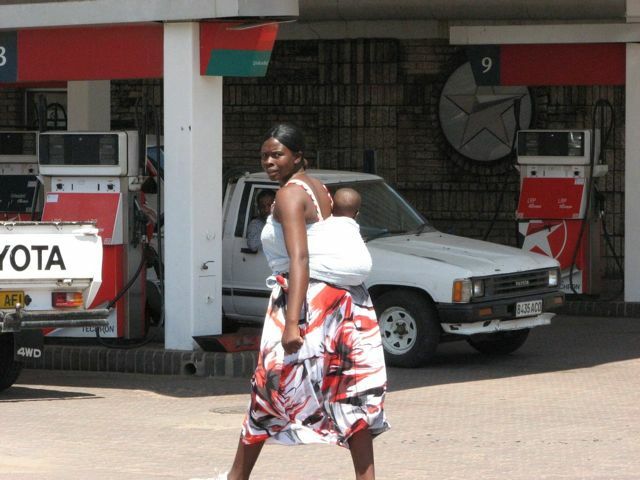 We got up early and filled the tank with petro and headed to Khama. We went through a VERY large township called Serowe on the way to the reserve. We were both caught off guard at the size of the town and the modern amenities found there. There was even a very large hospital and health sciences school on the edge of town. It all looked new too. Very interesting rock mound/upcroppings all around the town too. 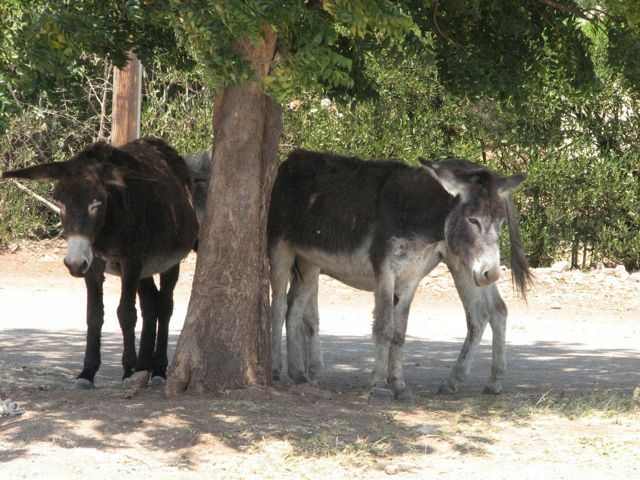 Reminded me of New Mexico and El Paso, Texas with wild donkeys just about everywhere you looked. We had a private guide and vehicle in the park for a 2 hour game drive followed by a late breakfast. The park has about 32 white rhinos and 3 (includes a new baby)black rhinos. 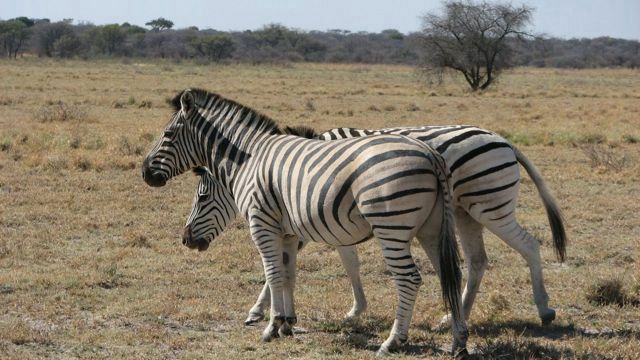 In addition to giraffes (42) and zebras (about 260) there were tons of warthogs, wildebeast and more impalas and other varieties of the antelope family than you could ever count. 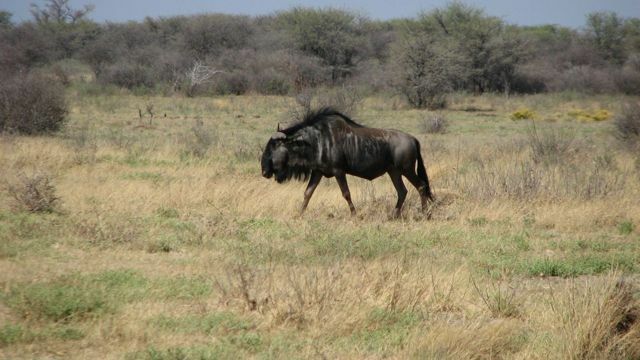 The reserve is also home to some leopards, cheetahs and brown hyena. 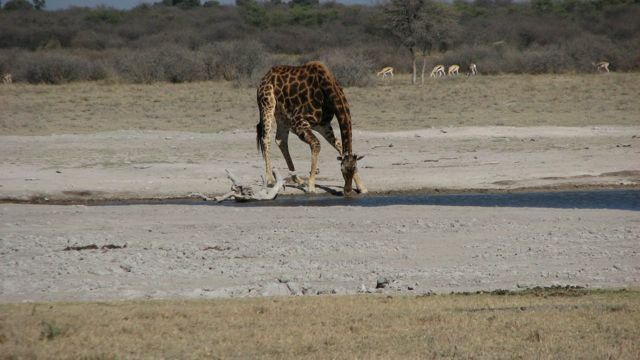 The large male giraffe was one of my favorite views, an incredible beast and watching him drink water was a life experience. 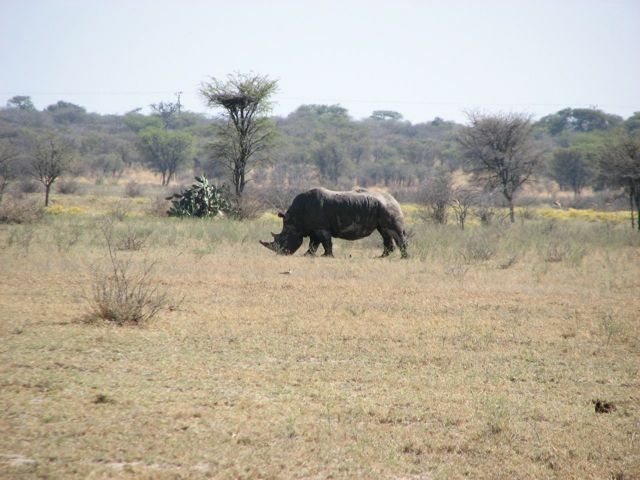 There were some huge rhinos in this park. We got really close to some of the white rhino (grazers); but, didn’t see any black rhinos as they tend to stay in the bush (tree/shrub diet). A great day in the park with a guide who was witty and full of information about the reserve and it’s residents. Scott is planning to take his family back soon and stay in one of the chalets that sleeps 6 with hot water heater (they call them geysers here). 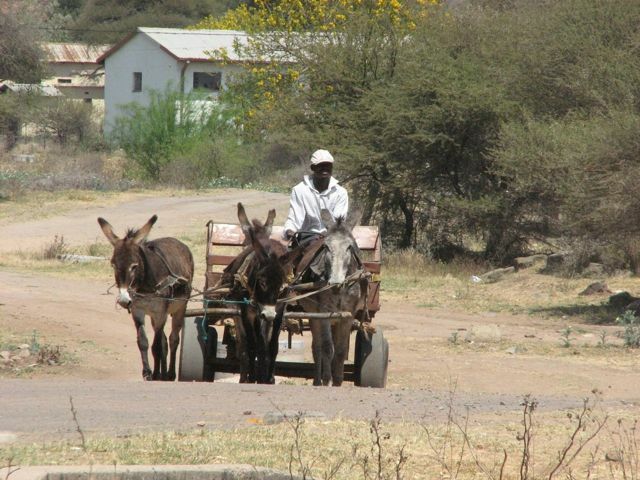 Tomorrow, we are going to make a big loop and visit some of the missions and churches outside of Gaborone. I will conclude the day by joining Naledi Baptist for their Tuesday night prayer service and worship. I will get an updated picture on the feeding station construction as the workers are continuing to lay block and build. A long day today with another 4+ hours of driving home from Khama. So, more later and I will be posting a ton more pictures (including all the pictures from the team’s cameras) once I get home. The internet speed is too slow for a lot of pictures at one time. Good night. This entry was posted in Botswana, Culture, Gaborone. Bookmark the permalink.